KITCHENER, Ontario, April 10, 2019 (GLOBE NEWSWIRE) -- Vidyard, the leading video platform for business, announces a new partnership with Outreach, the leading sales engagement platform, to bring personalized video messaging and real-time video engagement data to sales teams around the world. 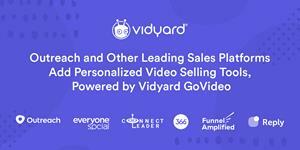 Outreach joins EveryoneSocial, Reply.io, 366 Degrees, ConnectLeader, and FunnelAmplified as the latest members of Vidyard’s partner Integration Directory to integrate the Vidyard GoVideo video selling app directly into their sales engagement workflows. Through these integrations, sales professionals can easily record, share and track one-to-one videos without ever leaving their sales tool of choice. Personalized, one-to-one videos are changing the way sales prospecting is done because putting a face to a name creates an instant connection with prospects and customers. By using Vidyard GoVideo, Vidyard’s flagship video messaging app, reps can convey authenticity, trust, and boost response rates by 2-5x. Vidyard GoVideo helps users quickly capture, host, and track personalized video messages, has become instrumental in helping sales professionals dramatically increase pipeline. Outreach: As an Outreach Galaxy partner, reps can use Vidyard GoVideo to create high-impact videos that are embedded in sales emails–right from within the Outreach platform. Send introductions, product demos, and more to make emails engaging at scale, and keep track of who watches to prioritize follow-ups. EveryoneSocial: Sales teams that leverage social media to build pipeline and engage with buyers use EveryoneSocial. From within the EveryoneSocial web and mobile apps reps can quickly select or record a Vidyard GoVideo, share it with prospects and connections, and get detailed analytics on who and what is driving results. Reply.io: Use the Vidyard GoVideo and Reply.io integration to add maximum personalization to your sales drip campaigns. Create personal intro videos or product demos, add them to an email sequence in Reply.io, and automate one-to-one email engagement at scale with a personal touch. 366 Degrees: The 366 Degrees engagement platform, combines relationship marketing and sales outreach solutions for mid-market enterprises. By integrating Vidyard GoVideo, businesses can now create, manage and distribute video via the platform and share real-time engagement across CRM's like Salesforce and Nimble. ConnectLeader: With ConnectLeader’s TruCadence®, sales reps can sequence multi-channel engagement via phone, email, social media, and now video with Vidyard GoVideo. 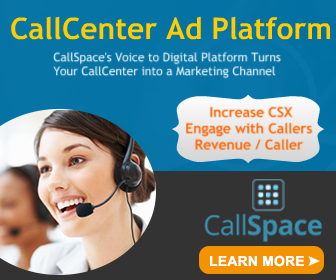 Leveraging ConnectLeader’s breakthrough dialer stack, reps can follow up on a day’s worth of cadence tasks in just one hour! FunnelAmplified: With FunnelAmplified, reps can generate leads from every member of their team, build brand-hubs for employees, and distribute content for employees to publish to social networks from one central dashboard. "Sales is becoming more personal every day. You must use the right channel for the right engagement for the right prospect and customer, and we're finding video to be a key channel in engaging buyers," says Manny Medina, CEO and co-founder of Outreach. "We're excited that Vidyard has joined the Outreach Galaxy in such a powerful way - by enabling the recording of personalized videos in Outreach and in turn, feeding buyer video engagement right back into Outreach." On April 18th, Vidyard is also partnering with SalesHacker to launch a new series called “Videoify my Sales Pitch”, in which video marketing and sales experts will encourage anyone to level-up their sales outreach by going-video, regardless of their industry. Reps can learn how to easily and effectively add video to their sales sequence by watching video selling experts ‘videoify’ real sales pitches from real sales reps. Registration is free and available now. This announcement also follows the launch of the Vidyard GoVideo mobile app, enabling Vidyard GoVideo users to record, share and track personalized videos wherever they go. Vidyard is the video platform for business that helps organizations drive more revenue through the use of online video. Going beyond video hosting and management, Vidyard helps businesses drive greater engagement in their video content, track the viewing activities of each individual viewer, and turn those views into action. Global leaders such as Honeywell, LinkedIn, Citibank and Sharp rely on Vidyard to power their video content strategies and turn viewers into customers.